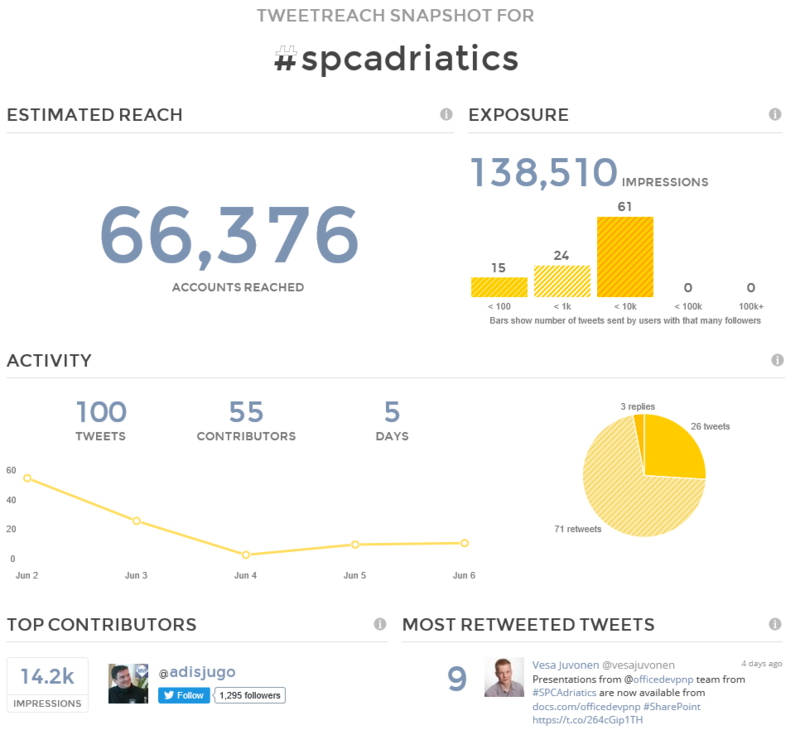 Beside the great feedback on site it’s always interesting to get some event feedback in Social Media, so we made a short Twitter Statistics of the hashtag #SPCAdriatics. So, here we go! In the last week, since 29th of May 2016 till now (6th of June, 9pm) there have been about 1.500 tweets sent by about 2230 Twitter users. With 33% about one third of the messages have been retweeted. We see that most Twitter clients being were 60% PC clients, followed by the mobile devices: 26% Android, 12% iPhone/iPad/Mac and still 2% Windows Phones. 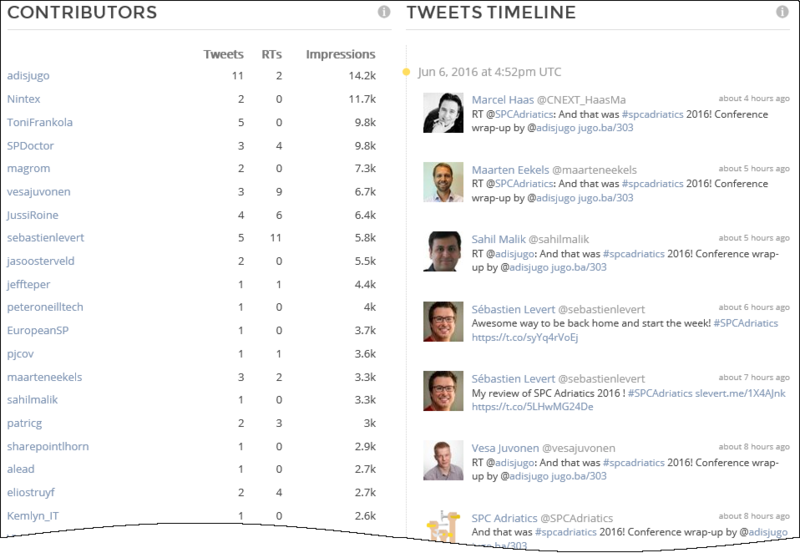 As expected, first conference day, Tuesday, May 31th, had the most tweets (783 tweets), followed by the second conference day on Wednesday, June 1st, (475 tweets). The trends on Twitter were (besides #spcadriatics. ): SharePoint, Office365, MicrosoftGraph, AngularJS, CloudKit365, SPDocKit, DisplayTemplates, Office365dev and PowerBI. 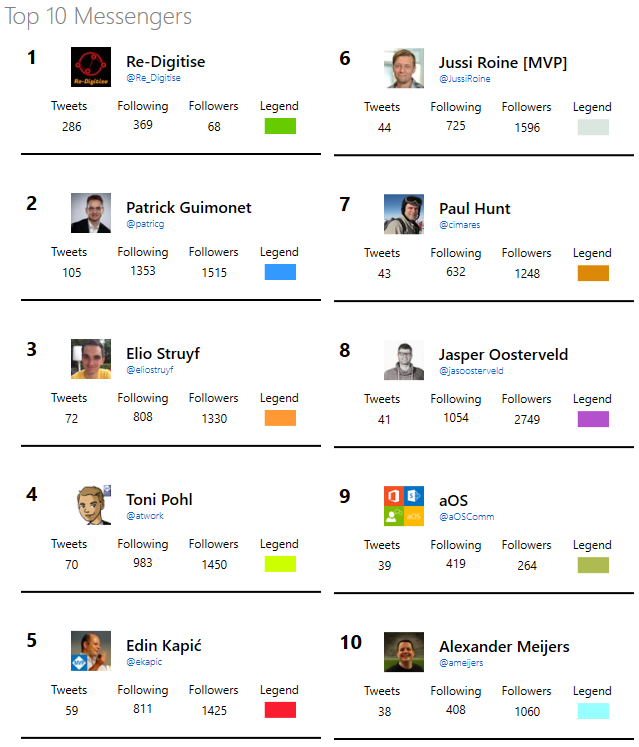 The following list shows the top 10 Messengers during this week. 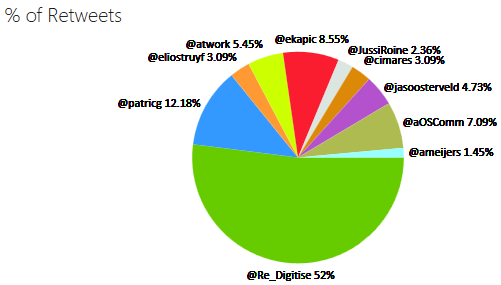 The Twitter Analytics was made with Plus One Social tool and with tweetreach.com. 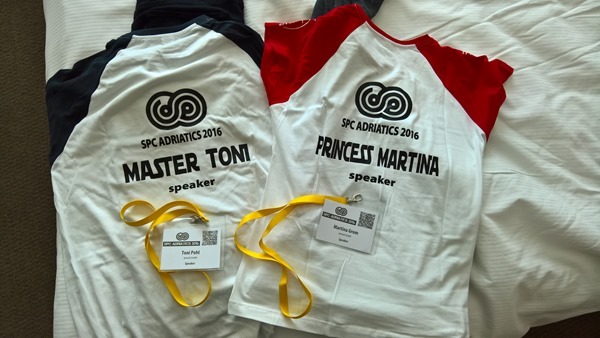 We hope you enjoyed SPC Adriatics as we did! 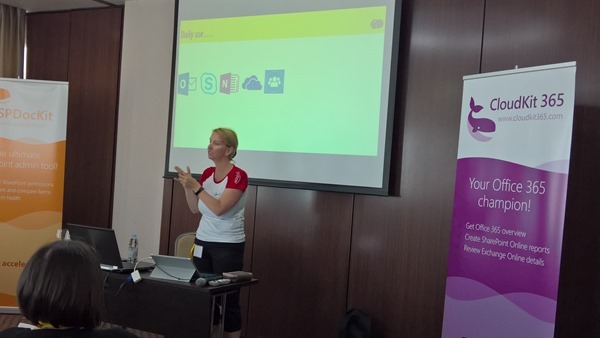 Many thanks to Branka, Adis, Toni and Nenad for this great community event!